L8 Living Sustainably: Love your heart - Go Green! Love your heart - Go Green! Valentine's Day, saw some of the L8 Living Sustainably team encouraging local residents to 'Love your heart - Go Green' outside our centre on Lodge Lane. 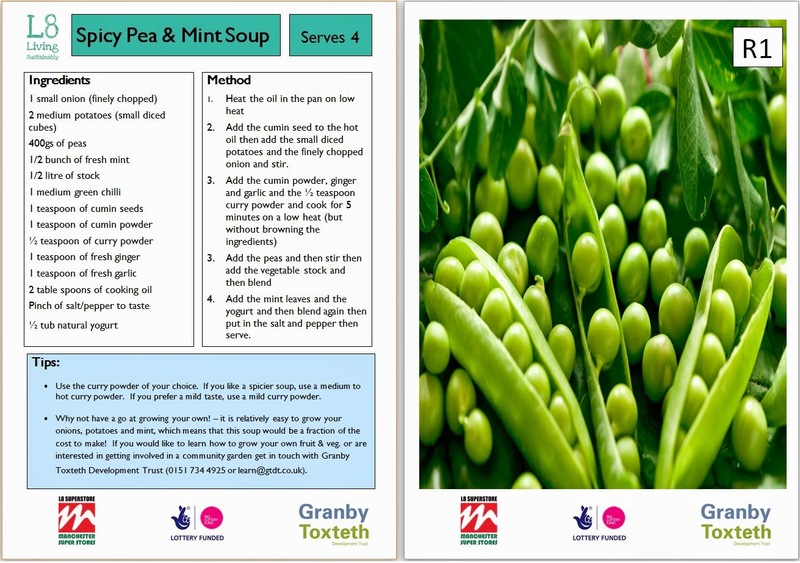 We provided some tasty Spicy Pea & Mint soup along with the recipe, which was made with ingredients that were all purchased from the L8 Superstore, as well as providing some mint seeds and growing instructions. We had a lovely day engaging with so many people, that we are coming up with ideas to hold another one soon! Watch this space for details.. In the meantime here is the recipe for our Spicy Pea & Mint soup!